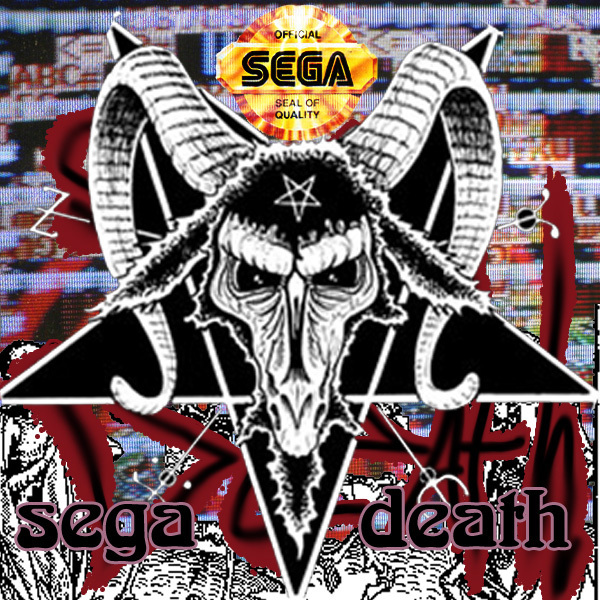 sega death is a 2 member experimental sega genesis project. the members of this band are ian (dramacore) and lucas (sickmode). sega death started in 2008, in chicago illinois usa. nothing in this album was sequenced, no outboard effects were used. into a computer. some bits of silence and excess noise were cut out. game is playing and music is audible you will hear a tone. a tone that seems to fade out to near silence. next, you must find a cartridge that works with the one you pulled. this is done purely by testing and seeing if they match. a drastic change in sound. anything from noise, to drum patterns, to full songs. these songs may contain elements from either cartridge or both. or they might sound completely new and distorted. ambient sounds, classic video game sounds. but nothing sounds like it did on the original cartridge. the original song will continue to play as it would. doing this, so thats not really a concern of mine any longer. to attempt putting it into the machine backwards. console just shut off. while pulling out the game, sometimes it may turn off the system. while finding a game, its important to find a good starter cartridge. no luck using a game genie, game restarts when pulled.